From the moment Khayman and Victoria laid eyes on Keswick they knew nothing else would ever compare. Likewise, from the moment they laid eyes on our over 300 year old oak tree, they also knew nothing else would ever compare. They quickly fell in love with both the property and the tree. So much so, in fact, that not only did they decide to get married underneath of that tree but it’s also the place Khayman proposed to Victoria. How sweet is that? 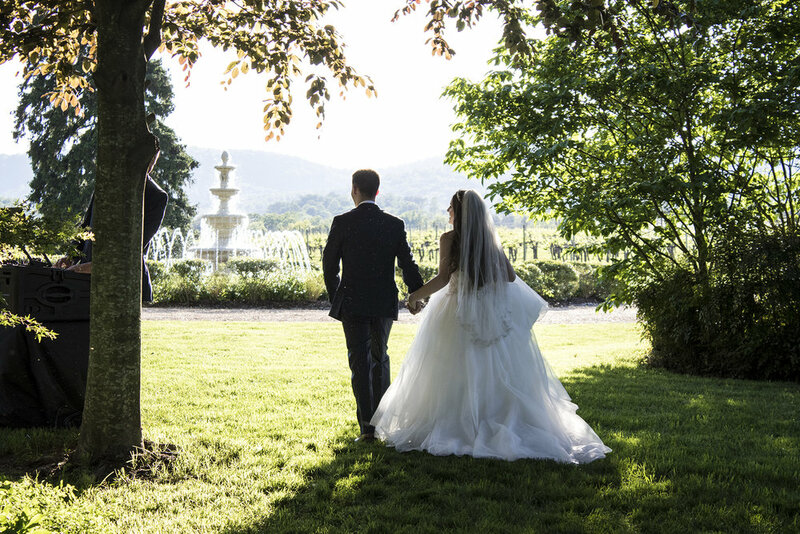 They celebrated their intimate wedding on Friday, May 13th with family and friends. It was very clear that family was important to this couple. 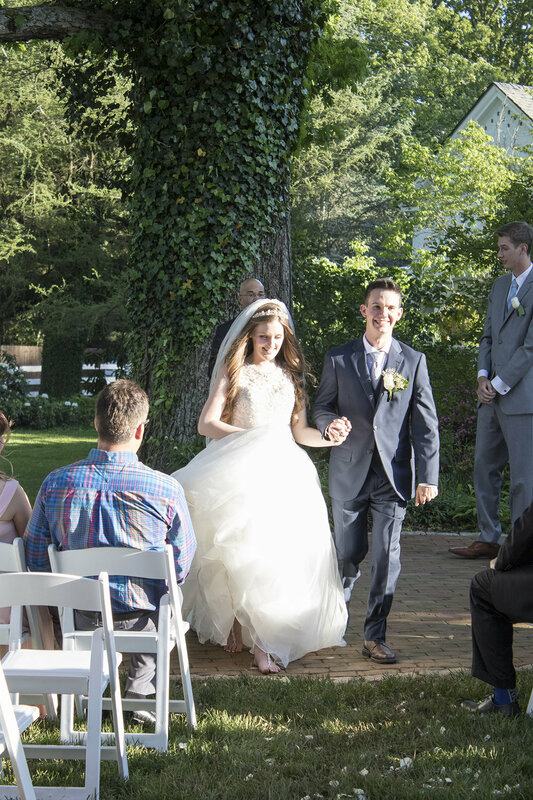 Brothers and sisters composed the wedding party and all family (and their friends) helped pitch in to make Victoria and Khayman’s day truly one to never forget. 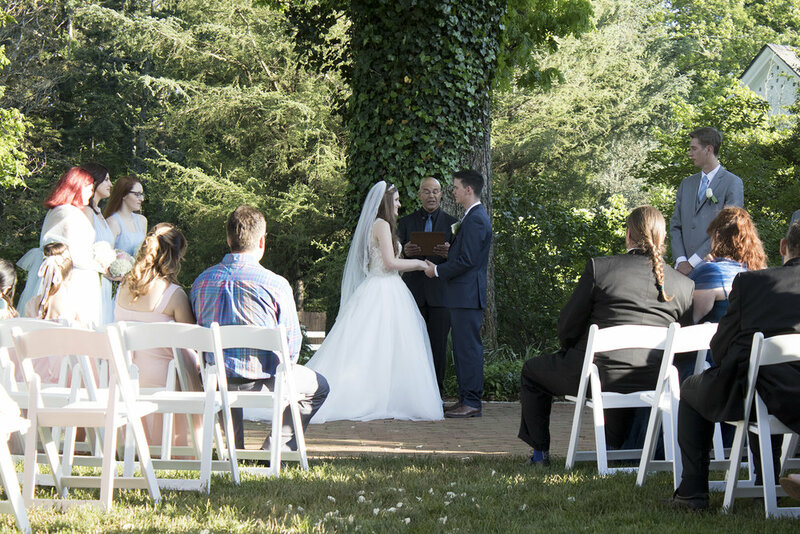 To start, a lifelong family friend officiated their wedding. He remembers bouncing Khayman on his knee when he was a baby. A beautiful three tiered cake was created by another with gorgeous floral detail that accented the couple’s colors perfectly! 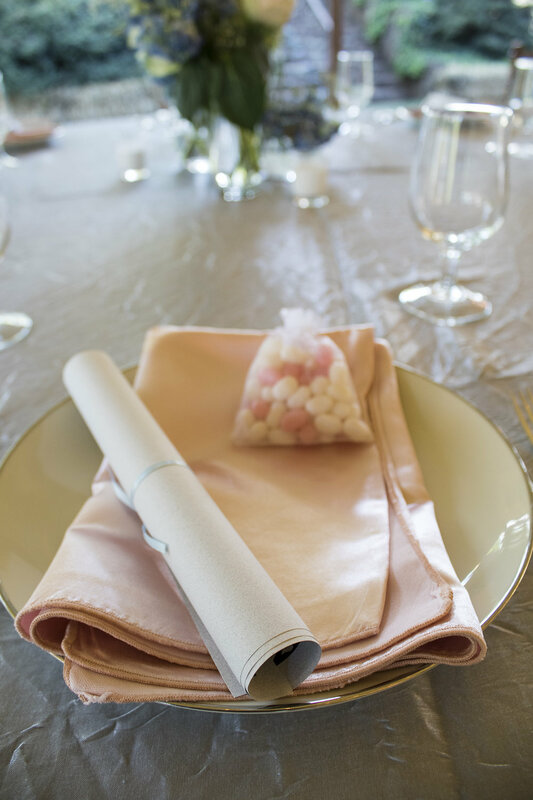 Their mothers helped pick perfect linens and flowers that tied everything together with just the right touch. The bride’s sister was in charge of the bride’s hair and makeup and it all turned out fabulously. Being a family run business ourselves, it was really great experiencing that during their wedding as well. It was all kept within the family! A big thank you to the following vendors! Photography, Beck and Call Photography. Catering, Hank’s Smokehouse. DJ, TD Layman, Sound Enforcement DJ Services. Florist, Blooms by the Box. Desserts, Jenn Vickers. Officiant, Kevin Beverly. 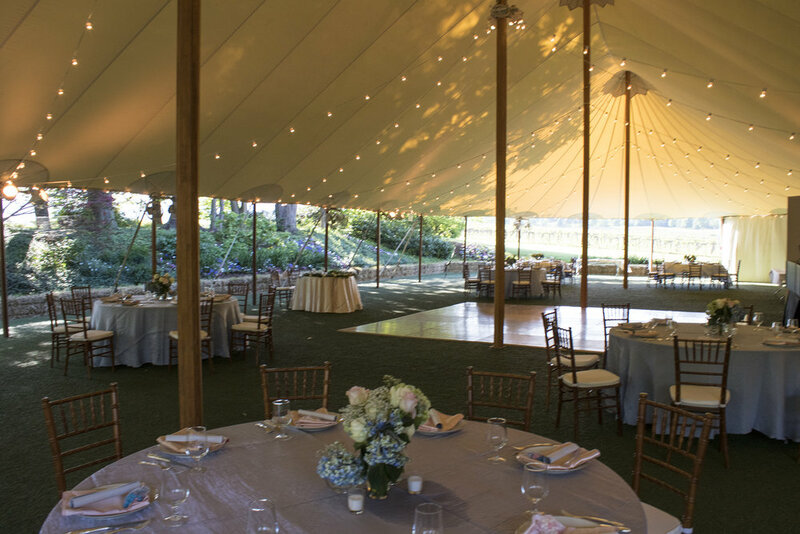 Lighting, Skyline Tent Company.